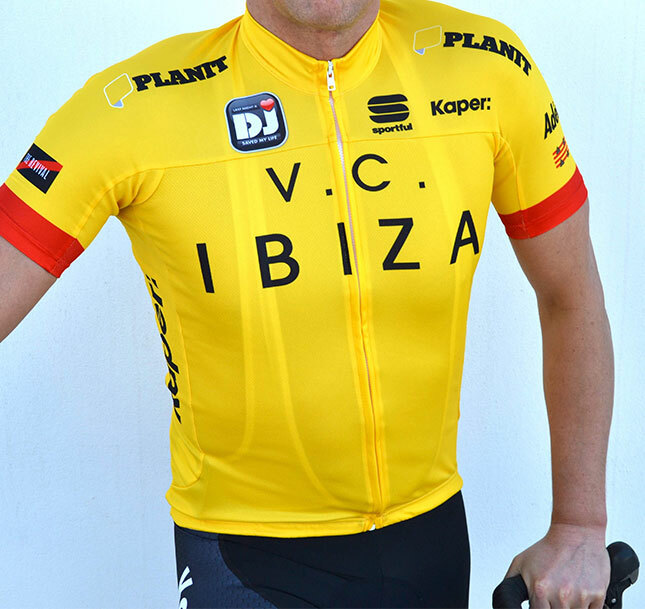 Official Velo Club Ibiza Kit made by Italian cycling equipment brand Sportful. 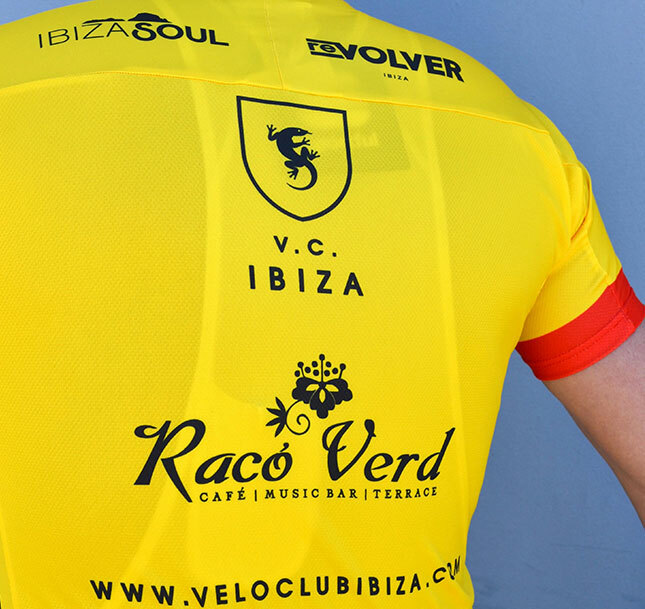 sponsor logos from Revolver Ibiza (shoulders), Kaper London (sides), Planit London (breast) and The Revival (left sleeve). 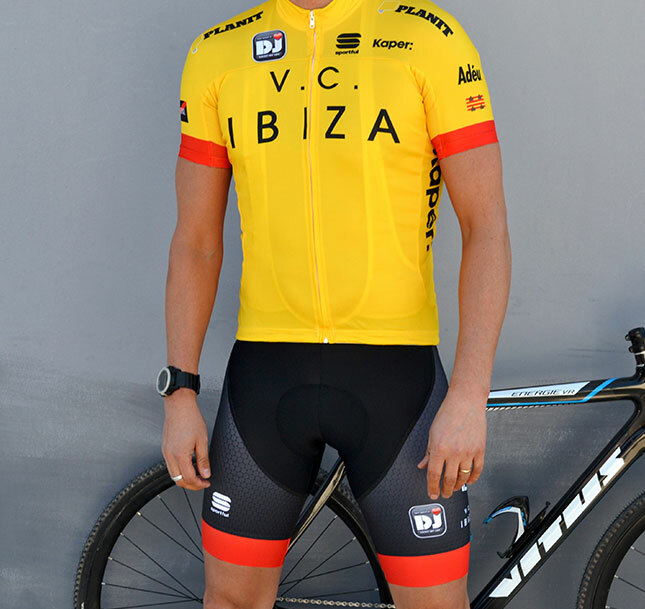 Further graphic detail includes the Ibiza wall lizard motif and the flag of Ibiza on the right arm. 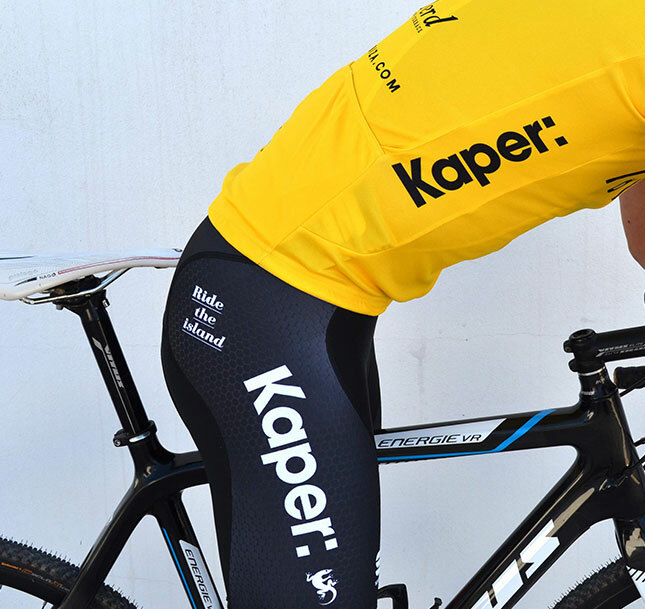 The rear of the jersey features the VC Ibiza lizard shield at the top between the shoulders and the Sportful logo on the middle of the 3 rear pockets. 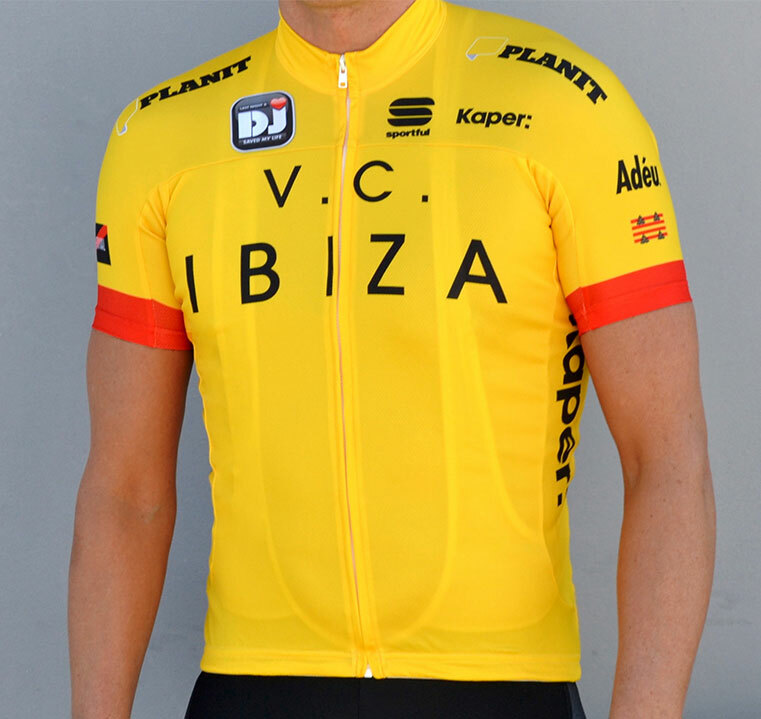 The jersey uses the colors of the flag of Ibiza and is bright yellow with a red trim on both arms.